I remember years ago when I was first diagnosed my neurologist confidently told me we’d probably see a cure in my lifetime. Now after thirteen years, I’m beginning to doubt him. That’s the main reason I’m consistently looking for different options. I have always been told and believed that multiple sclerosis was a neurological disease. Well, there has been increasing talk that it’s in fact a vascular problem. I’m not going to pretend to be well versed in this, so I’ve pulled the following from The CCSVI Alliance website. “CCSVI stands for “Chronic Cerebrospinal Venous Insufficiency,” a condition where people have obstructed blood flow in the veins that drain the central nervous system (the brain and spinal cord). 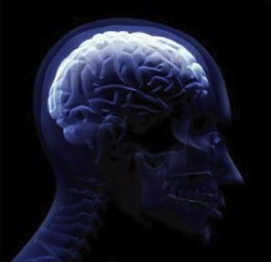 Research indicates that CCSVI is significantly correlated with multiple sclerosis. The doctor who came up with this believes that by clearing the obstructions symptoms will be alleviated. This is similar to procedures commonly done in the heart. Please understand this is an extremely simplified explanation I’m offering here. That’s exactly why I attended a free Doctors’ Roundtable: Exploring CCSVI & CSF in Neurological Disease this past week in New Orleans. It was hosted by The CCSVI Alliance. I was hoping that the event would provide a clear idea of what to do, but I must admit that I am as confused as ever. I would love to hear what you guys think about CCSVI. Eat less cholesterol and saturated fat – mainly found in animal products [all meats, sea foods, dairy, cheese, and eggs]; Make own cakes, cookies, and desserts; Many commercially baked goods used lard – high saturated fat; Reduce or stop using sugar- white, brown, honey, maple syrup, etc, and foods made with them; Sugar raises blood fats; Stop alcohol use – it raises blood fats; Reduce bad stress – long-term stress raises cholesterol; Caffeine may raise cholesterol; Eat more fruits, vegetables, whole grains, beans, and seeds – they are high in fiber and help lower blood fat and cholesterol. Fiber is that part of plant foods that can’t be digested. It takes cholesterol out body with the feces; Get more sunshine – don’t burn, but sunshine lowers blood cholesterol; Exercise more to help burn off cholesterol If unable to walk, work out with arms for 30 minutes 5 days a week; Drink more water to help fiber move through the body; Get good fats from nuts [esp. a daily handful of walnuts, almonds, or pecans], olives, and avocado. And see the DVD “Forks Over Knives” [on Amazon.com]. If any procedure to clear blood vessels is not accompanied by changes in lifestyle choices and habits [like eating, drinking, exercise, etc], it means the clogging-up process could return. The best cholesterol levels are below 200. Hope this helps. My best to you. Laine, thanks for the info. Hi Nicole, I think this is a very serious consideration. I hope it is researched further. It would make some sense that there are blockages thus the damage. My question is what brings on the first major debilitating attack and why do we get better and then worse? Does the blockage clog and then unclog???? Thanks for writing about this. And thanks to all the responses as it gives those of us who have thought about this procedure (pros/cons). I have never had tests done to see if I have blockages—I just notice slight, constant pressure at the top of my neck/bottom of the skull. Like a congested feeling. I am always trying to crack my neck & rolling my head side to side to loosen the area. I ask others…is this a sign of blockages? Sock, I honestly have no idea. I hope someone here can help you. Hey Doug, I saw you over here and had to say hi. I have circulation problems and have thought many times that it must have something to do with all of the wacky neuropathy and weird symptoms I experienced. If this is the case and blockages could be cleared how outstanding would that be!!??? I had CCSVI done 2010 and had no improvement. I was so hopeful. I’ve been in secondary progressive since 1994. I think that the protocol used is very important. If preliminary testing doesn’t show any blockages, then you shouldn’t do it. I know of a young man who has done it twice but is now still declining. I was first treated for CCSVI almost 3 years ago now. I have had MS for 22 years and was fitted for a wheelchair before I had this simple vascular procedure done to correct the bloodflow in my blocked veins. I have had no progression in my Secondary Progressive MS since and this has been proven by my MRI’s in that my lesions have not been active since. This I have found has helped 2/3 of us with symptoms. My symptoms have improved greatly. So much it has increased the quality to my life. I would do it again in a heartbeat if I had to fix my veins again because nothing else has helped slow this MS monster down for me. I’m happy for you and wish that was more common. Hi Nicole – It was a pleasure to meet you and your husband at the CCSVI Alliance Doctor’s Rountable. Thank you so much for coming. The above comments are all valid as some people respond to the treatment and some do not. MS is multi-factorial — it is specific to each patient – -we each have our own thumbprint. It is not unlike the pharma drugs…many patients have been on five or six drugs only to see their disease progress. As you know, I was treated for CCSVI in 2009 — it was successful and I have had sustained improvements since being treated. You also know that I have a limp because of footdrop — obviously, the treatment did not lessen the footdrop. Continue to keep up with the research — watch the CCSVI Alliance website for the video of the New Orleans event. Peruse the website — all content has been reviewed by a team of international doctors including neurologists. We do not offer opinions – we offer the research both pro and con so that patients can make an informed decision. Sharon, It was a pleasure to meet you. Yes, the responses here have been quite varied. I will continue to keep my eyes open though. I have had the procedure myself and met a lady who had it done (at the point she was having it done); it did little, if nothing for either of us. The person who told me about it, had it done twice within a year…. It’s not cheap, is invasive and the ones it may “work for” may be yonger or more in a remissive-type phase, I mean I was able to work and do things into my 50’s when MRI’s showed I had had MS for years (I am SO glad I did not know what it was and kept going, without any hocus-pocus medicine). CCSVI treatment did nothing for me, and it seems Rebif and Copaxone haven’t done a thing either. Thanks for sharing. I’m about to start BG-12. I had no idea you had tried CCSVI. I had the procedure in Feb. 2011. It certainly helped some symptoms, to this day. I would do it again in a heartbeat. Unfortunately, the FDA has suspended the Hubbardfoundation.org multi registry CCSVI sites for the time being. When they get the all clear, I will see about a second procedure. It certainly helped that my Insurance covered it before, I will hope they cover all or part of it again. Meanwhile, I do my utmost to follow a good ” Endothieal Health” diet, which promotes good blood flow, and get as much exercise as possible. (Which I think you do, from following your posts now for awhile.). also, reference Marie Rhodes’ book, available on Amazon “CCSVI in Multiple Sclerosis”. Good luck! Keep us posted! It’s wonderful you were able to go to the Roundtable. Toni, It seems many people have tried it. The feedback is so inconsistent. I’ve had the procedure 2 times. My first time in August 2011 changed my life drastically. My crushing MS head pain that had plagued me for years, was gone. Good riddins.’ My cognitive problems drastically improved also. It helped my balance and my walking. But I would say the most dramatic thing CCSVI did for me was remove the debilitating fatigue that had taken my life over. I had to lay down every 2-3 hours. Some days I could stretch it to 4 hours, but by then I was falling over. The procedure pretty much eliminated my fatigue. What a huge blessing for me! 2 years later, I need to have the procedure done again. I’m fatigued again and the head pain is back. I recently had a CCSVI dopplar and am waiting for the results, but I pretty much know what I’m looking at and have absolutely no hesitation in going ahead again. It’s not a cure, but it has helped me far more than any of the drugs ever did and I am thankful for the continuing research that goes on and for the CCSVI Alliance and the doctors that support the ongoing studies into blood flow and venous issues with MS.
CCSVI was the BEST thing I ever did for my MS! I had my first CCSVI surgery in 2011….I was using a walker full time and a wheelchair part of the time. I actually had one of those miraculous experiences and was able to walk as far as my atrophy muscles would take me and without the assistance of even my cane! After that week things went back to ‘not so good’ but turned around in a couple of months and I enjoyed having my life and my legs back! I walked everywhere!! Never knew how much I took walking for granted till then. I was able to build muscle again! Before no amount of exercise made a difference to my muscles. After the surgery I could do 10 push ups and feel some little muscles growing in my arms :). The surgery is expensive and not a cure as I found out when my veins closed again 18 months later putting my back on my walker :(. It is hard to put a price tag on that excellent exhilarating year of freedom and walking. I chose to have my second Surgery just a week or so ago in April 2013. It’s a serious decision but not a difficult one to make as my mobility slipped from my grasp once again. I have not used my walker since my procedure but still use my cane for balance. Everyday I feel new little improvements. If all I get is another great 18 months then it will be still worth it until a real cure comes along! I only mention mobility but it has helped me with so much more! Bladder and Bowel dysfunction and killer muscle spasms! I’m sure that if Big Pharma could make money from CCSVI there would be alot more research being done!!! I know 2 MS’ers who spent big bucks (one who did it twice b/c first procedure produced positive results for a short time). Second time a bust. The second MS’er reaped no positive results. Jackey, Sounds like it is the luck of the draw. just like everything about this durn disease…. Like with any other drugs and/or procedures, what works for one doesn’t for the other. It’s not only with MS meds. It’s just not right; you buy the least amount possible at a very high price, desperate for relief and improvement and they don’t work. And, the kicker is, Federal laws won’t permit returns on meds. I tried Gilenya; it gave me the T-cell count of an AIDS patient. My doctor immediateIy told me to stop taking it and that he was really worried. Now I have about $2,000’s worth of Gilenya just sitting in my kitchen cupboard. And, of course, it’s against the law to give to anybody else who is already on the same drug. What’s wrong with this picture, government and pharmaceutical companies in bed together? I’ve had MS for 26 years and have been through the gambit. It’s only natural I think it’s all a racket. I’m letting nature take its course. I’m tired of giving another CEO and politician more luxuries. I know 3 people that have had this. It only helped 1 and he is newly diagnosed. Karen, Thanks for sharing. I wonder if being newly diagnosed has something to do with it? Continuing with my second response (I ran out of room on this system), I’m troubled when people talk about “curing” MS, which hasn’t been possible for any illnesses basically since the discovery of antibiotics. It’s more realistic to talk about management or rehabilitation. I’ve benefited enormously from physical therapy & speech therapy; I try hard to eat healthy; and I manage my symptoms as best I can. Mostly, though, I think we do ourselves a disservice when we hope to find ways that MS will simply go away. I hate the MS Society’s slogan about “a world free of MS.” That’s not really how health & illness works in the contemporary world. 1. I asked my sister, who is an epidemiologist, to help me sort out the debate about CCSVI. I was moved to do so when a major review article was sent around recently through self-help circles I follow. My sister’s take is that the available studies do not prove it is helpful, but also do not prove it is harmful. As with many remedies/ approaches, there is plenty of anecdotal information from its proponents – but it’s also impossible to know what such interventions mean. I’m happy to share more detailed information/articles, but didn’t want to deluge you or anyone else with scientific literature. Rachel, No, I appreciate your response. I’ve made up my mind though. I’m not doing it anytime soon. Thank you for the information. I am going to research this. When is the Doctor’s roundtable being held? I’m close by in Mobile, AL, and this sounds like an awesome event. I could visit my Alma Mater Dillard University too. Marcia, I’m sorry it was April 16th. Glad I went, but its not ready yet. the temptation is great-one short operation and you are free of MS. like countless youtube clips want to make you believe like the one for example (‘After 4 hours he was walking’). Ya, right! I have done it with a terrible result, my walking/ balance turned from bad to worse and never recovered to the state it was before I have had the CCSVI op I read searched the internet for weeks. everything sounded so positive, but now I am convinced its just another moneymaking con aimed for desperate MS patients. Mila, Thanks for your insight. You don’t sound negative, just honest. This is interesting but very confusing to me. I am a migraine sufferer as well. In addition to migraines (averaging about once per six weeks) I have lesser headaches (averaging about two times per week.) With all of these headaches I have often wondered if something was wrong with my veins or arteries or whatever is involved in these headaches. I am now forty seven years old and my first migraine was at the age of twenty one. I am sorry for getting “off track” from your post but could this be related somehow?? I would consider CCSVI if I had migraines like you do. That was a symptom that Dr. Zamboni’s wife had that started him looking at the veins. Although it didn’t help me, neither did I have headaches. It didn’t do me any harm despite my lack of improvement. The procedure seems to work for some patients. When they did a controlled trial, the improvements were statistically insignificant. However, proponents of the surgery pointed out it was not done, from diagnosis through surgery by experts in the procedure, and their results are much better than the clinical trial showed. As a patient, I think the jury is still out. I know Stanford stopped performing the procedure a couple of years ago saying there wasn’t good enough information to tell which patients could/would benefit from it. Until then, they said they would view it as another medical treatment which they were uncertain whom it would help or exactly how. I know they have improved the diagnostic procedure since the Stanford walk away. As for my opinion, I still don’t understand MS being thought of and treated as one disease. We progress with different symptoms at different rates responding differently to drugs and treatments. Just because it’s not a,b, or c in no way assumes the answer is any thing but “something else.” It seems the “something else” in a few people responds well to CCSVI. I do worry about the number of people who have to have the procedure repeated suggesting to me the blockage may be nothing more than a symptom of a condition not healed by the procedure. Prior to treatment, I was having problems with my eyesight. After treatment, my eyesight went back to normal and I can drive again. I have also gotten the feeling back in my fingers and abdomen..which had been numb for many years. This is notable since I have been in secondary progression for 10 years now. The real challenge with all this research is that doctors doing CCSVI research do not look at CSF flow and do not use the UPRIGHT MRIs to see both CSF and veinous flows in the upright position. Sharon Richardson, Pres of the CCSVI Alliance, is also aware of this relationship and is attempting to open the communication with these researchers. Nicole, I am surely not an expert, doctor or medical researcher…but I know first-hand that there is a relativity with veinous flow and CSF flow. Last month I was back in New York with Dr. Rosa and he showed me my MRI scans from a year ago…before and after I was treated by him. It was a horizontal slice at the atlas disc level. 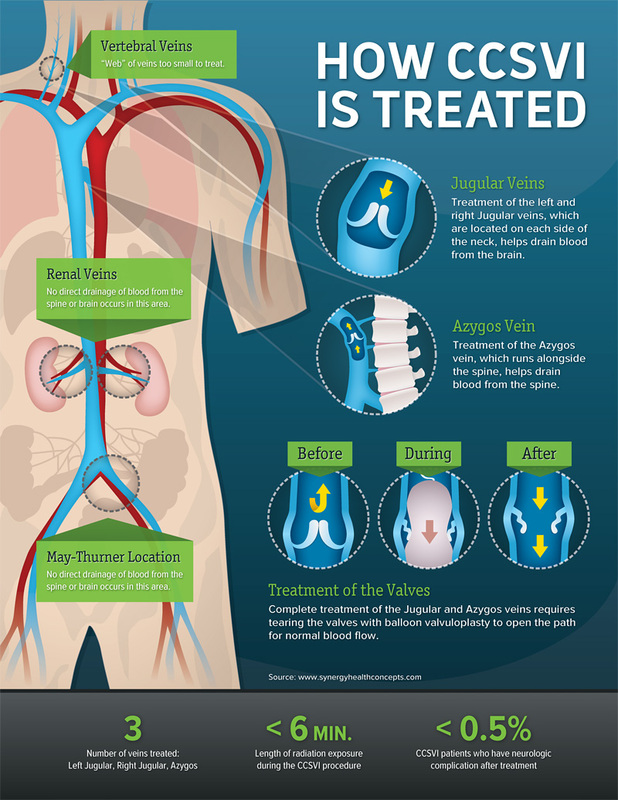 Before treatment, my left jugular vein was about 80% blocked and the right jugular vein was about 40% blocked. After treatment, both jugular veins were wide open and flowing. My treatment was to align my cervical spine which showed scoliosis and blockage of CSF flow…done by Dr. Rosa using the atlas orthogonal device. Prior to treatment, my atlas disc was diagonal and my C2 was rotated. Following treatment, my atlas disc was horizontal (normal) and the C2 was less than 1% rotated. This was a non invasive procedure and I wouldn’t have believed it was possible if Ihadn’t seen the scans before and after myself.